I’m doing something on the blog today that I have never done before. A bad review. I hate giving a bad review of something, but in this case I was very unhappy with the product and felt that I should. I have been buying clothes from Very for some time and have always been happy with the quality and item that I have received. Unfortunately the shoes appear to be a different story. This is a second chance story with Very’s shoes as I had previously bought a pair of boots for the Winter from South that I was unhappy with; namely with the soles coming away from the boots and the leather coming off at the front of both boots. I had decided that it was a one off and having not paid over the odds, I left it there. 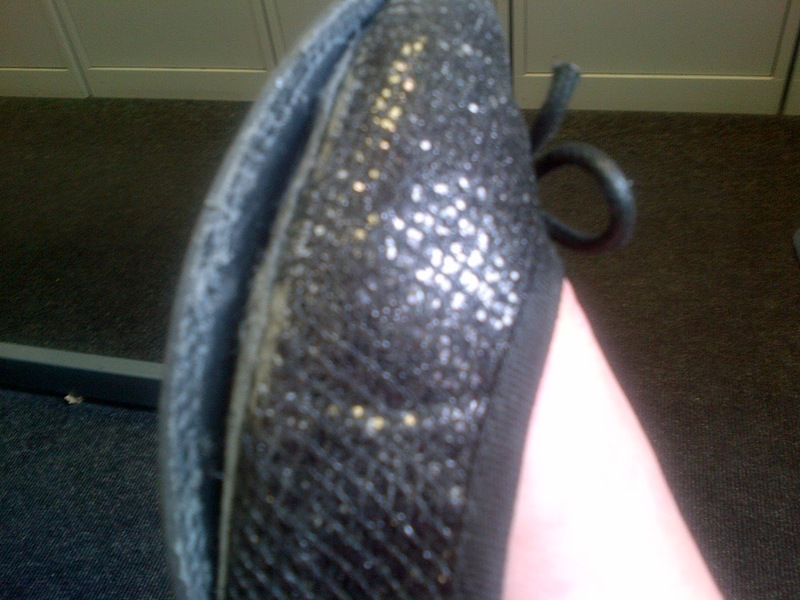 Approximately two months ago I bought a pair of black glitter ballet shoes from Very for £15.00. I have worn them no more than five times. Here is the result. Given the state of the soles coming away from the shoes I have had to throw them away. 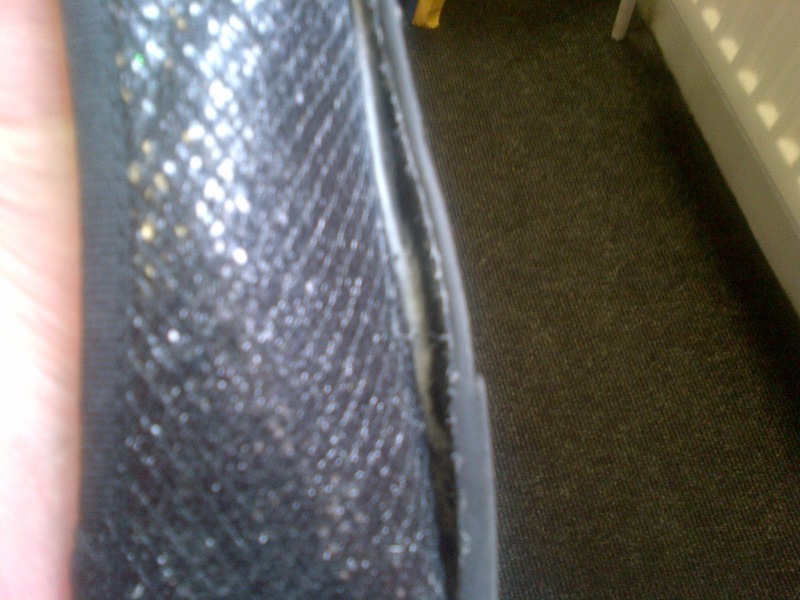 I realise that I have paid less than £20.00 for the shoes and if I had been wearing the pair for a while, I would have been fine with the end result. But for a pair of shoes I have barely worn? Unacceptable I’m afraid. I will continue to buy clothing from Very as I think that they have a great selection and I have never had a problem with quality on that front. But as for the shoes and boots, a little more quality please! 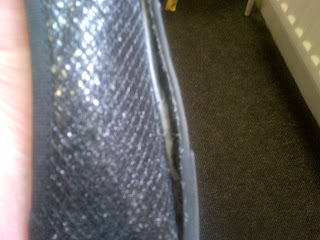 Even for £15, they shouldn't fall apart after five wears. I once had a pair of Primark ballet pumps that cost me £6 which I wore constantly for six months before they fell apart! You should contact them and complain!